Which Silex Wi-Fi Module is Right for Your i.MX RT Application? One size does not fit all. For the fast expanding Industrial and IoT applications, there is an imperative need for scalable processing with corresponding variety of connectivity options that developers can choose from. NXP's i.MX RT crossover processors offers unprecedented scalability and performance for real-time applications with diverse functionality that is typical of applications processors. In this paper you will learn Wi-Fi options offered by Silex for the i.MX RT and provide some insight on which Wi-Fi option is suitable for your application. We test our software in as many scenarios as possible to identify and resolve problems before our product gets into the hands of our customers. Sometimes, bug fixes and feature enhancements require modification to the radio source code. As one of 15 Qualcomm Atheros Authorized Design Centers, we're one of the few companies in the world enabled with radio source code access. We start with the Qualcomm Atheros reference design, and through significant investments, we make the best Wi-Fi technology even better. The end result is an extremely reliable and robust Wi-Fi radio module based on industry-leading technology. See how we transformed the Qualcomm Atheros W844 reference design into the SX-SDMAN 802.11a/b/g/n plus Bluetooth SDIO radio module. 802.11ac has quickly become the current Wi-Fi standard as 802.11n gradually moves closer to being a legacy standard. It is therefore important to understand the key features and benefits of 802.11ac. This paper explains the top reasons to move to 11ac and helps you understand how Silex is bringing an extremely reliable, next-generation, enterprise-grade SDIO Wi-Fi module "SX-SDMAC" based on industry-leading Wave2 MU-MIMO 802.11ac technology. Download this white paper and learn how to add wireless connectivity to your NXP i.MX 6-based device. As customers demand portable and mobile solutions, device manufacturers must add Wi-Fi to keep their products at the forefront of the market. NXP estimates that more than 50 percent of devices using the i.MX 6 processor will require Wi-Fi support. Unlike consumer Wi-Fi applications, where the selection of a Wi-Fi module is largely driven by fast time to market and low cost, companies that require a more robust, enterprise Wi-Fi solution should closely assess if their Wi-Fi supplier can provide the support that they need. This white paper outlines key considerations when selecting a supplier. Download this white paper to understand the trade-offs between PCIe and SDIO Wi-Fi Radios so you can select the right Wi-Fi technology for your i.MX-based product. Download this white paper to learn about enterprise requirements for converting a standard Ethernet device to a wireless one. The terms “Hosted” and “Hostless” are widely used but not well defined. They are based on the needs of customers’ application. These two different approaches are popular in the rapidly growing Internet-of-Things (IoT) connectivity space. This white paper explains the differences between hosted and hostless Wi-Fi IoT connectivity designs. Download this white paper to learn about ways to connect USB devices in Virtual Environments like Citrix and VMWare. Download this white paper to learn about some of difficulties faced while applying “power saving mode” (PSM) in wireless LAN applications and how the future looks like as we enter IoT market where power saving will become a top priority to be successful. Download this white paper to learn about the SX-ULPAN and the required steps to successfully evaluate and implement Wi-Fi connectivity on the NXP platform. Download this white paper and learn how to choose the best connectivity and video distribution for your digital signage installation. Download this white paper and learn what is required to successfully evaluate and implement Wi-Fi connectivity for your medical devices. 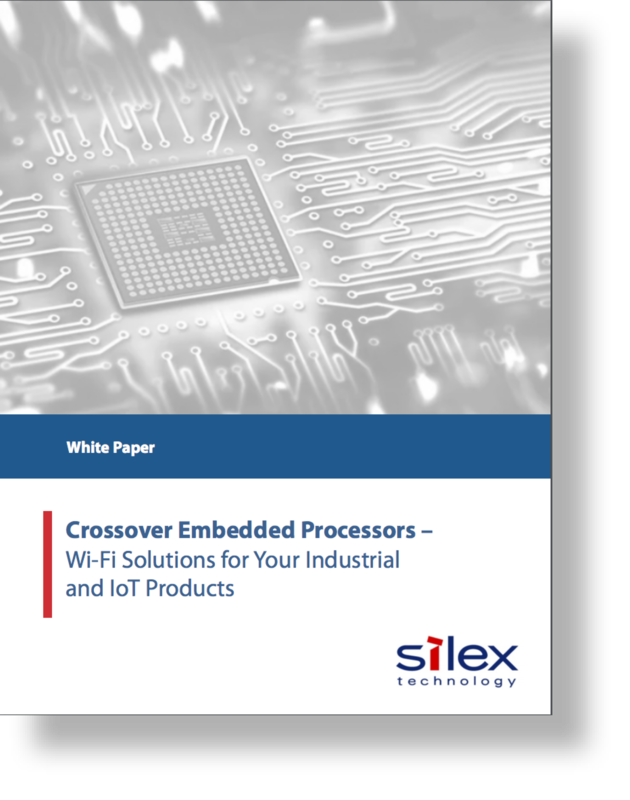 Download this white paper to learn about some of the issues that you need to consider when selecting an embedded wireless module for use in your product. It also includes a case study of an OEM embedded wireless module application.